Now that I have your attention, lets go into a brief backstory. When I decided to study abroad in Buenos Aires, Argentina, my biggest worry was neither the language barrier nor the cultural differences–it was the food. How was I going to survive without my morning smoothies and oatmeal? Would it even be possible to find peanut butter abroad? Now that I’m well into my study abroad program, I have been pleasantly surprised by what this city has to offer. While Buenos Aires is known for its juicy steaks and Malbec, los porteños have a killer sweet tooth as well. One of the most popular snacks is known as an alfajor: shortbread cookies filled with layers of dulce de leche, dipped in chocolate. One day, I had a great idea: why not combine Argentina’s favorite cookies with America’s? And so, this life-changing recipe was born. 1. 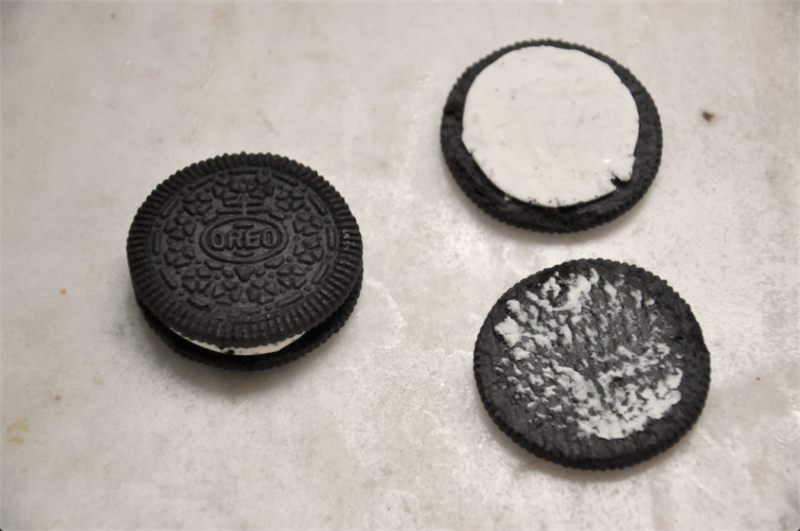 Using a knife, separate one half of each Oreo cookie, keeping the frosting on one side. 2. 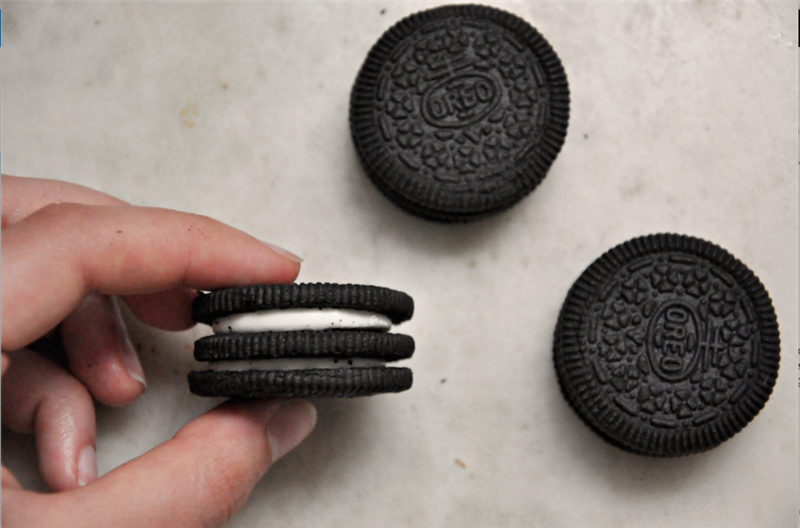 Set a whole Oreo sandwich down onto a cutting board or flat surface, then firmly press the half sandwich on top of it to create a triple-deckered cookie. 3. 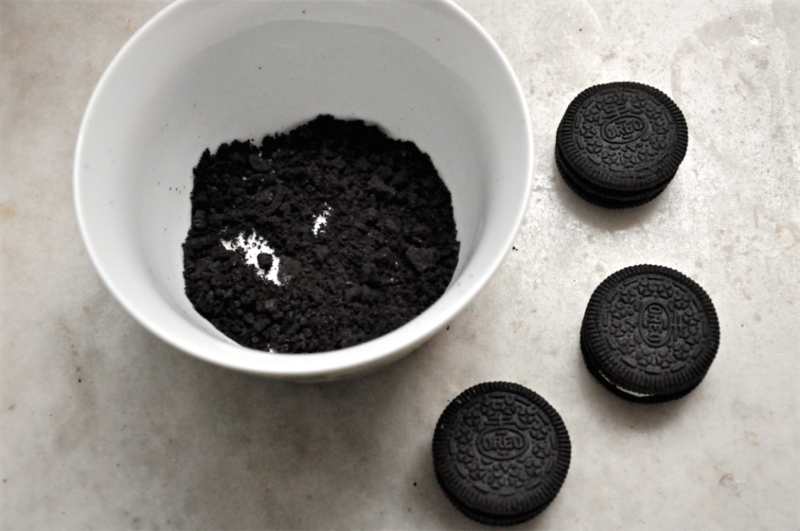 Place all of the unused Oreo cookie halves into a Ziploc bag and crush them into a fine powder. Place the cookie crumbs into a medium size bowl, spreading them out evenly along the bottom. 4. 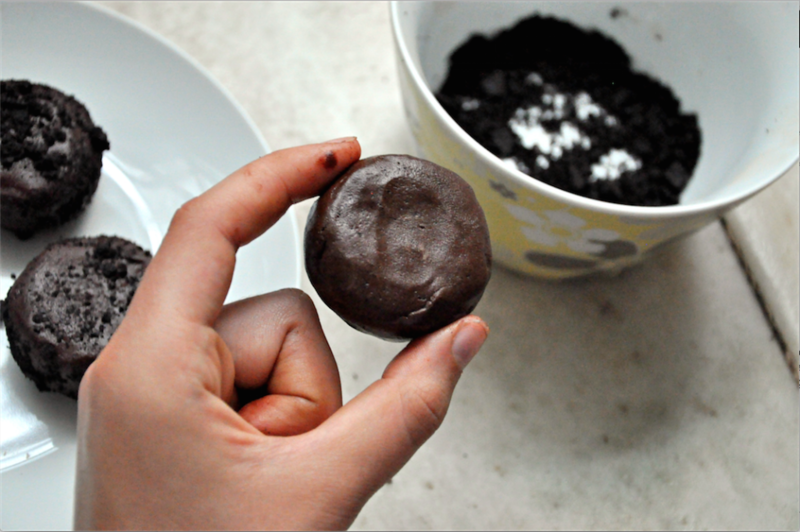 Microwave your chocolate on medium power for 30 second intervals, stirring the mixture each time. 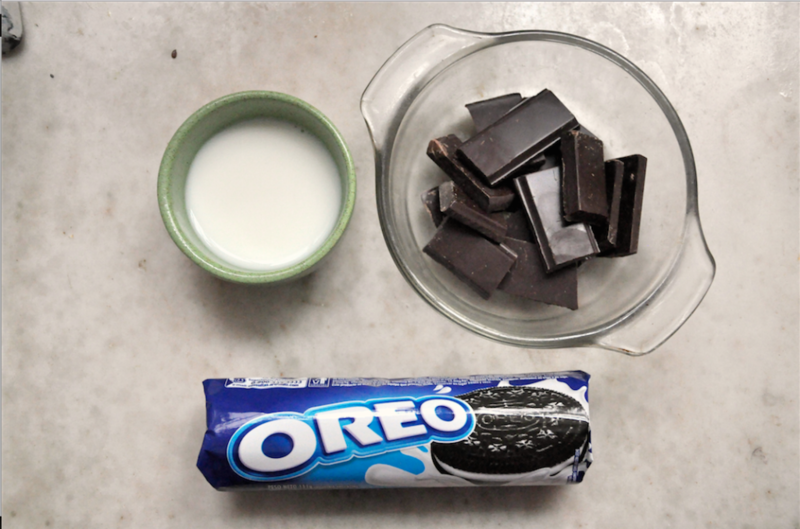 After the chocolate has reached a silky, even consistency, stir in 1 tablespoon warm milk. The chocolate should have a fudgy consistency. 5. 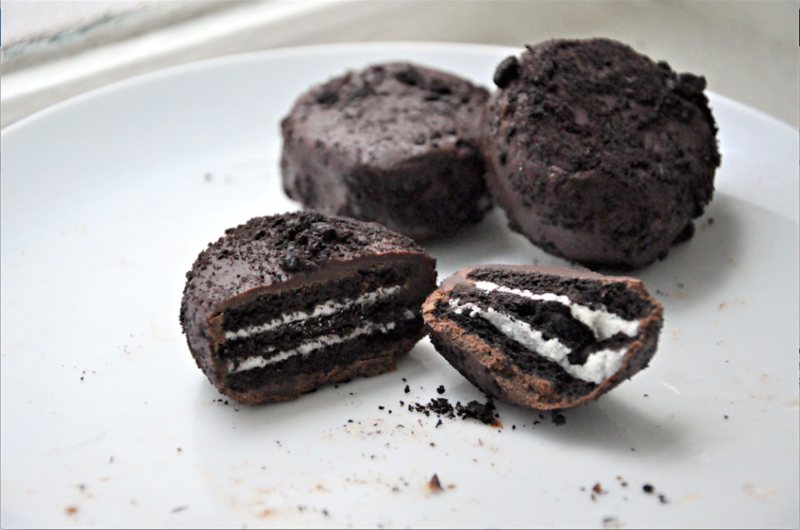 Using a knife or your fingers, cover each Oreo sandwich with a layer of the chocolate “fudge,” then roll it in the bowl of Oreo crumbs until well-coated. 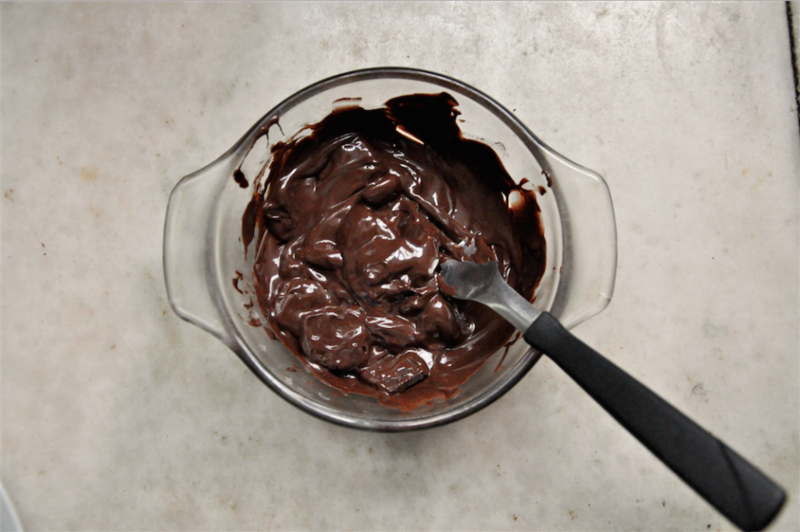 Place on a baking sheet and let sit for about 10 minutes, or until the chocolate is hardened. Which Type of Oreo Are You?